From Belvidere to Boulevard and Broad to Main, we’ve got you covered with businesses, restaurants, residents, festivals, and more! East-West: From the western side of Belvidere Street (U.S. Route 1) on the east to the eastern side of North Boulevard on the west. 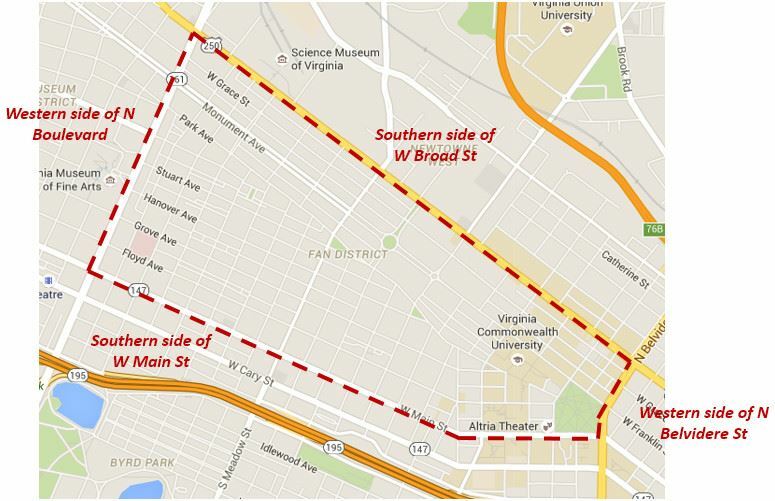 North-South: From the southern side of West Broad Street on the north to the southern side of West Main Street on the south.